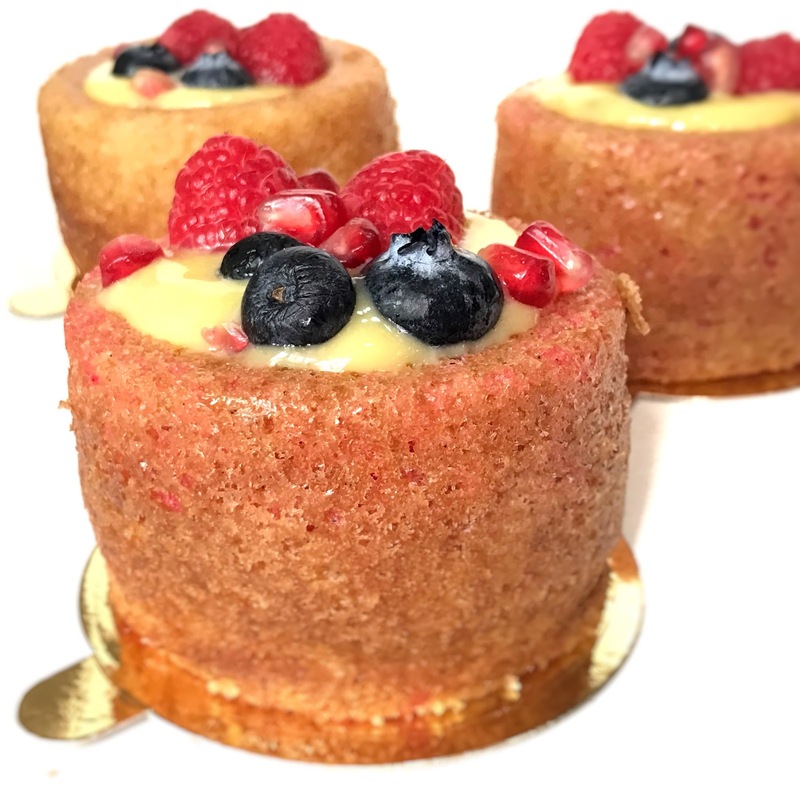 How many of you are fans of petit cakes or mini cakes? I received a resounding number of votes for YES on instagram a few days ago. I guess everyone’s theory is the same. Mini bites allow space for you to try a variety of cakes and desserts. After all, we only have one stomach. These mini or tea cakes are unique in the sense that it is my first time making cakes that came with an indent when taken out of the oven. I bought this awesome tea cake pan a few weeks ago and I’m amazed at how easy the cakes could be taken out of the pan due to its non stick nature.. It unmoulds perfectly and retains its shape well. 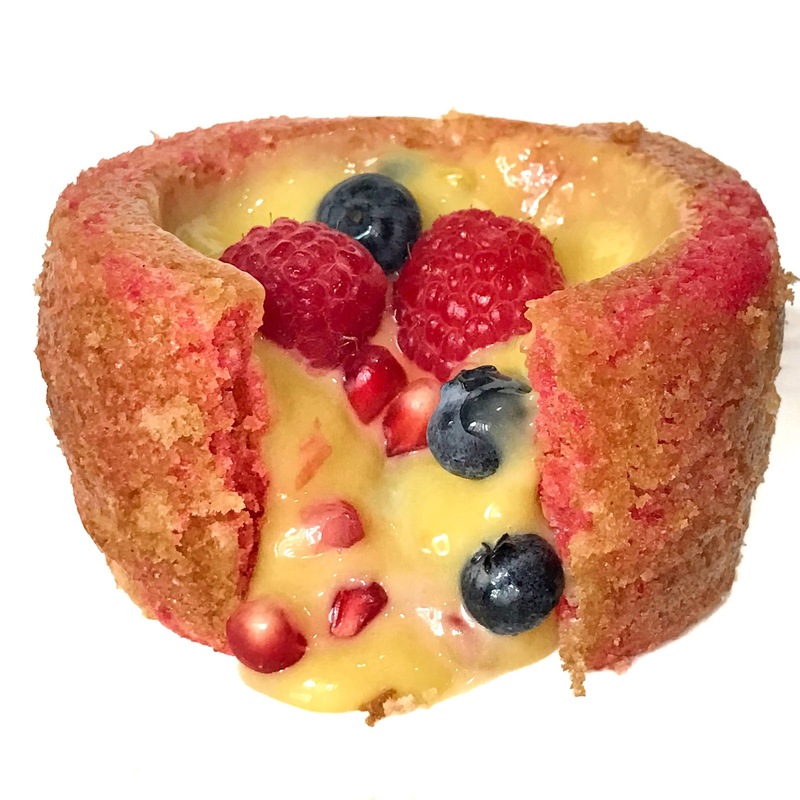 So there was a little hole in the middle for me to fill my favourite Vanilla Bean Cakes with refreshing Passionfruit curd filling. SUPER YUMS! You can fill these babies up with Vanilla Custard, Chocolate Mousse, Praline, Whipped Frosting etc. So many ideass to surprise your guests! 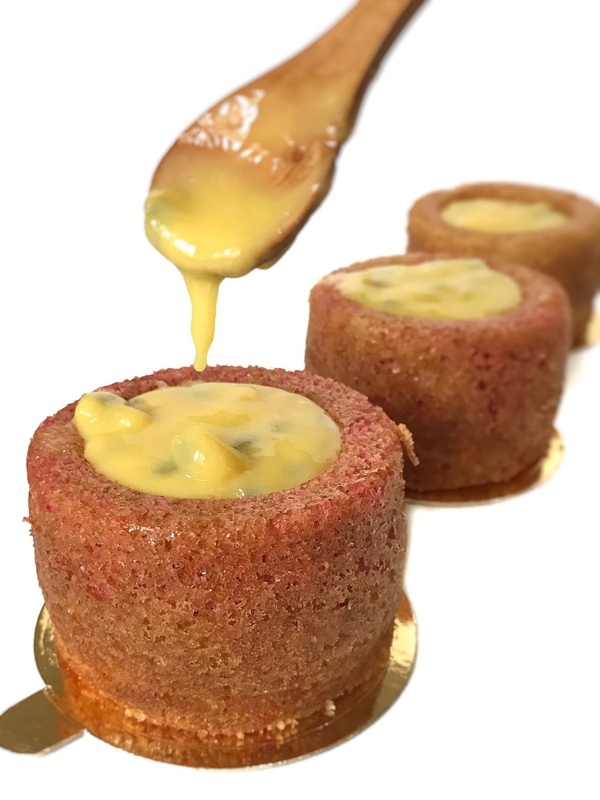 Don’t you think these mini cakes will make a good Thanksgiving or Christmas treat 🙂 It’s bite size so you dont have to worry about not having space to enjoy more of other desserts or turkey, baked ham, cheesey casseroles! I know most of you have been requesting for my passionfruit curd recipe so without further delay, here’s the recipe! It’s so good, you can really enjoy it with a spoon. My favourite way to enjoy it is to add some on top of my greek yogurt, overnight oats or my recent chia pudding craze! Hope you like it as much as I do! 1) Preheat oven to 175deg C . Spray tea cake pan with non stick cooking oil. 3) In a separate medium bowl, combine the buttermilk, oil, eggs and vanilla. 4) Slowly add the wet ingredients to the dry ingredients. Stir until just combined. Pour batter into prepared pan. 5) Bake for 20-30 minutes, or until toothpick inserted into cake comes out clean. 6) Remove pan from oven and place on a cooling rack and cool for 15 minutes. 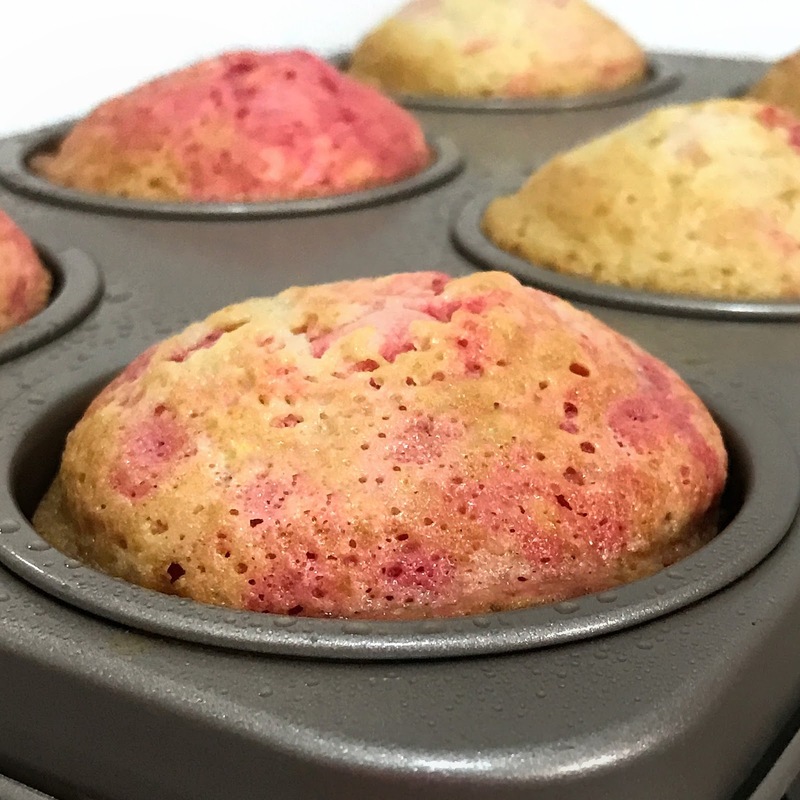 Unmold the tea cakes and let cool completely. 1) Combine all the ingredients in a heat-proof bowl and set it over a bowl of simmering water. 2) Stirring continuously, allow the butter to melt and the mixture to come together. At first the mixture is going to look strange and curdled but just continue stirring and when the butter is melted, switch to a whisk and whisk until the curd is thick and glossy. 3) Taste to ensure the curd is smooth and cooked through then remove from the heat. Refrigerate until cool and set. 3) You can enjoy it immediately or put it back in the fridge to set until your guests arrive.